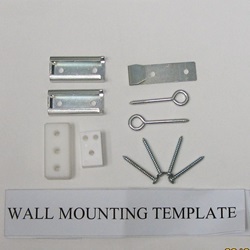 This kit contains the following: Wall Mounting Template, (4) Screws, (2) Eye Screws, (2) Wall Mounts, (1) Spring Lock, (2)spacers (different sizes). Contains all the necessary pieces to safely mount GuardMaster® III "Top of Stairs" Certified Swing Gates w/ Special "Quick Remove" Feature. 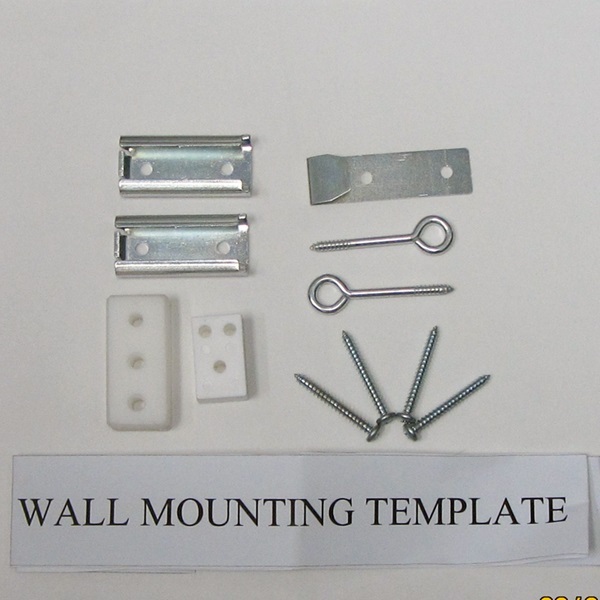 PLEASE NOTE: ALL GUARDMASTER® III GATES COME COMPLETE WITH ALL MOUNTING HARDWARE.